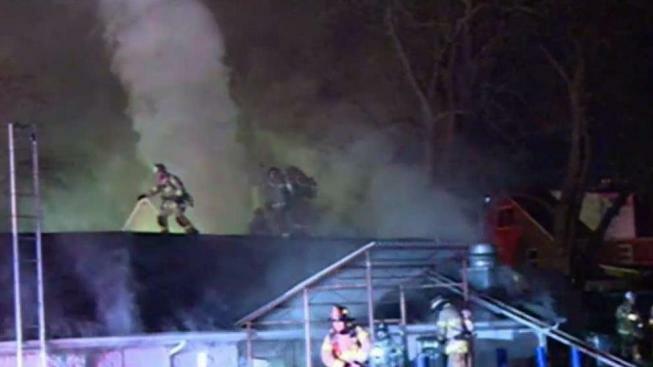 A person was found dead inside a Maryland church after a fire was extinguished early Saturday morning. The church in the 5800 block of Roanoke Avenue in Riverdale caught fire about 2:30 a.m. and was out by about 3 a.m.
“So after the fire had been extinguished, we went inside to start an investigation and the body of a deceased person was found inside,” said Mark Brady of Prince George’s County police. The police department’s homicide unit was called to investigate. “And we also had some agents from the ATF here today assisting us in this investigation because it is a church,” Brady said. The building used to be a firehouse. “This was the original Riverdale Heights Volunteer Fire Department many, many, many years ago, and you can tell from the front of the building where there’s bay doors,” Brady said.